This Friday sees the Munster Reds look to push on from their close-fought opening day defeat to the Northern Knights, with bottom-of-the-table North-West Warriors coming to Cork. Once again the Mardyke Cricket Ground is the hottest ticket on June 9th, both teams containing wise heads and some of the brightest young talent the country has to offer. Come down and see the future stars of Irish cricket, as they battle it out for their respective provinces, where the Reds will hopefully take a big step up the table in their second of three home games. 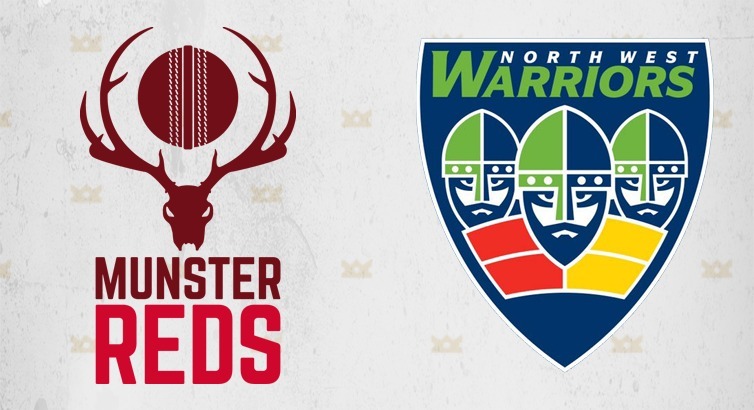 Munster Cricket are asking for all of those coming down on Friday evening to wear red, and create a ‘Sea of Red’ to support the side in their first game at the top level. We have seen the incredible effect this has produced for other sporting sides from the province, and we know that every single advantage counts on the field of play. Gates will be open in the Mardyke at 4pm ahead of a 5pm start, and we encourage fans to come down early and enjoy the beautiful surroundings of the Mardyke, with a fully stocked bar, including confectionary and drinks for the smaller ones, serving throughout the game and into the evening. We will also have kids cricket games going on before and during the match, to give kids their first chance to pick up a bat, or have a bowl, in a fun and safe environment. This will be supervised by the Munster Regional Development Officer Jim Doran, who has over 10 years’ experience delivering fun cricket courses to children of all ages, but parents are welcome to come and get involved! There will be a DJ playing music ahead of the game, and scorecards on the day for all to take their own score and bring it home as a momento. There is no assigned seating at the ground, so fans are encouraged to bring their own seats, or better yet a blanket, and enjoy a scenic sunset with a picnic on the banks of the Lee. Admission is free but we would encourage you to donate what you can to assist Munster Youth teams who take part in their own Interprovincial series soon. The match will begins and with hours of action going on the Mardyke offers the best value for Friday night entertainment in the city! No one will be able to enter the stadium with alcohol or glass. There will be stewards and security on site to assist you with your enquiries on the day, and to ensure that the event runs smoothly and safely, so please respect their requests. Mardyke Walk will remain open to traffic during the game, but for health and safety reasons restrictions will be in place. Parking will not be available in the immediate vicinity of the ground, and supporters are encouraged to use alternative methods of transport if possible. The Mardyke Cricket Ground is just a 15 minute walk from Cork’s city centre, with directions posted below. Bus Eireann city services 205 (Dir: CIT) & 208 (Dir: Bishopstown) also stop a short walk from the ground, and run regularly, see the timetables below. If one wishes to drive there is disc parking in the residential areas around the ground, and also private parking in the St Finbarr’s Car Park on Wandesford Quay. Go westbound down Washington Street, as far as the junction with Donovan’s Road, where you will see the main gates of University College Cork. Turn right and then take the first left onto Mardyke Walk, the entrance gate is 150 yards on the right. Carry into the city on the Wilton Road, passing the AIB Bank on your left, and the junction with Gaol’s Cross, the road will follow to the left to Dyke Parade and take the first left onto Mardyke Walk, the entrance gate is 150 yards on the right.